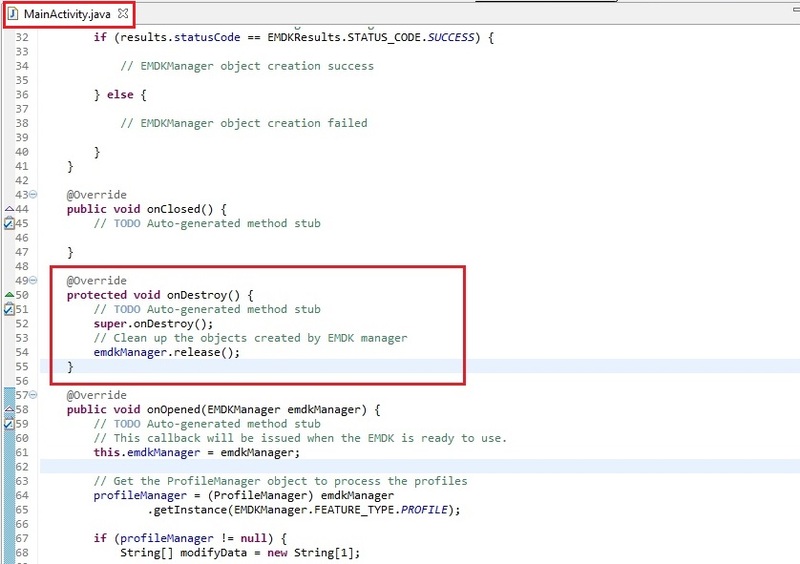 This guide will walk you through creating an EMDK For Android application that will use some new Mx features introduced in EMDK for Android API to perform device configurations. 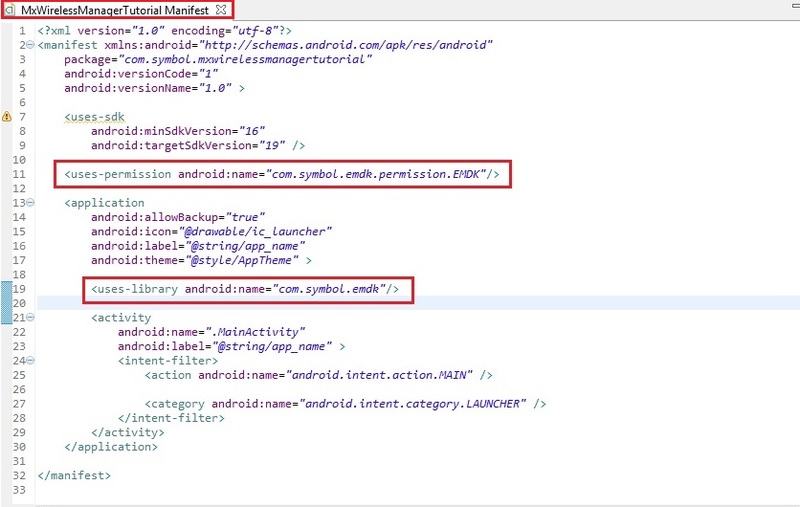 Mx represents a suite of Enterprise Features on top of standard, commercially available Android Open Source Project. 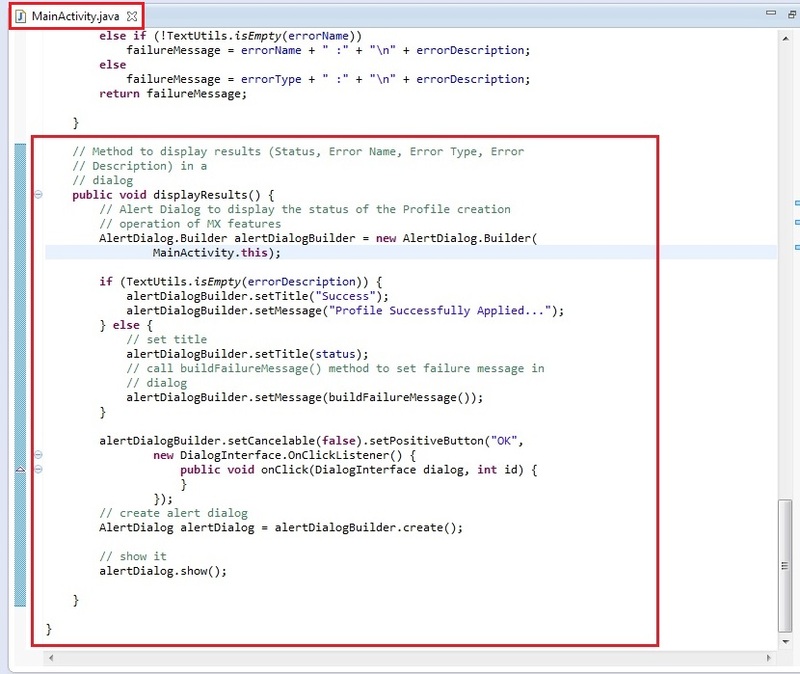 So this tutorial will focus on configuring wireless configurations on your Symbol Android device (Ex. 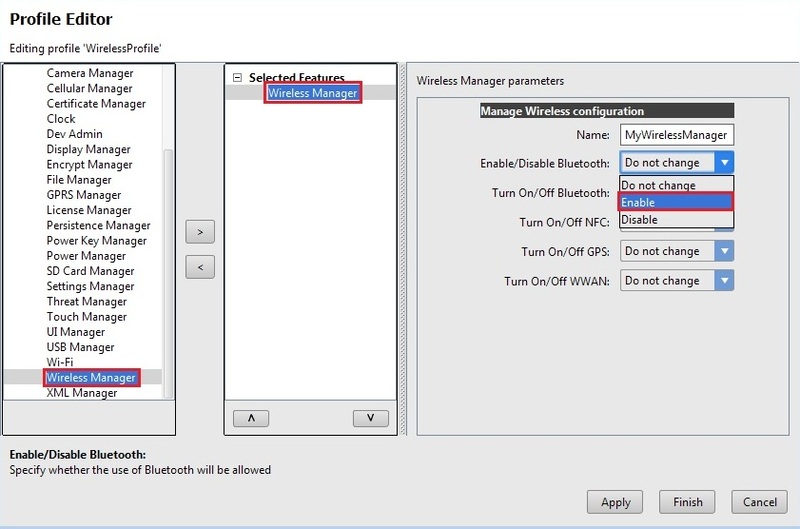 Configure device's Bluetooth) using Wireless Manager feature of Mx. So now we will create a tutorial and configure (Enable/Disable) the Bluetooth of your Symbol Android device using Mx Wireless Manager feature. 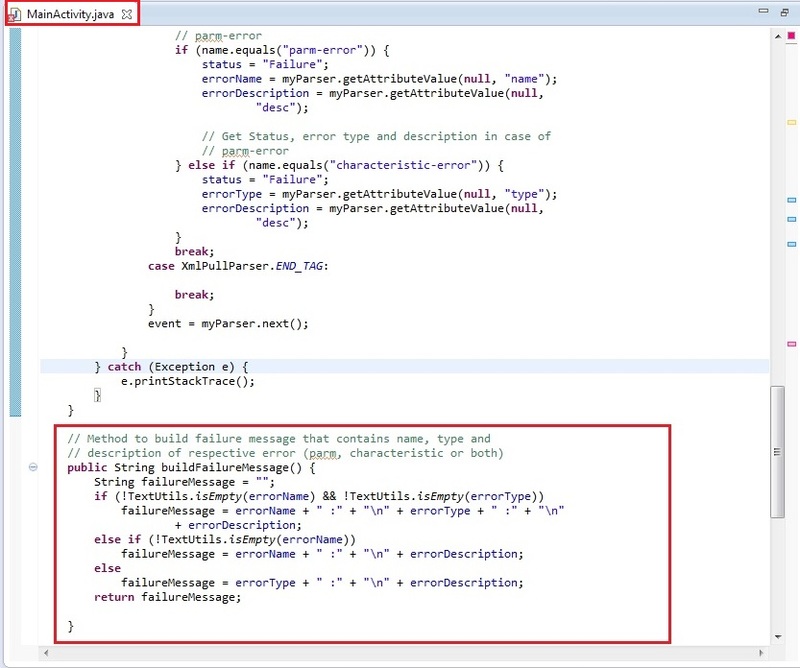 Note: Provide "MxWirelessManagerTutorial" as the project name for this tutorial. 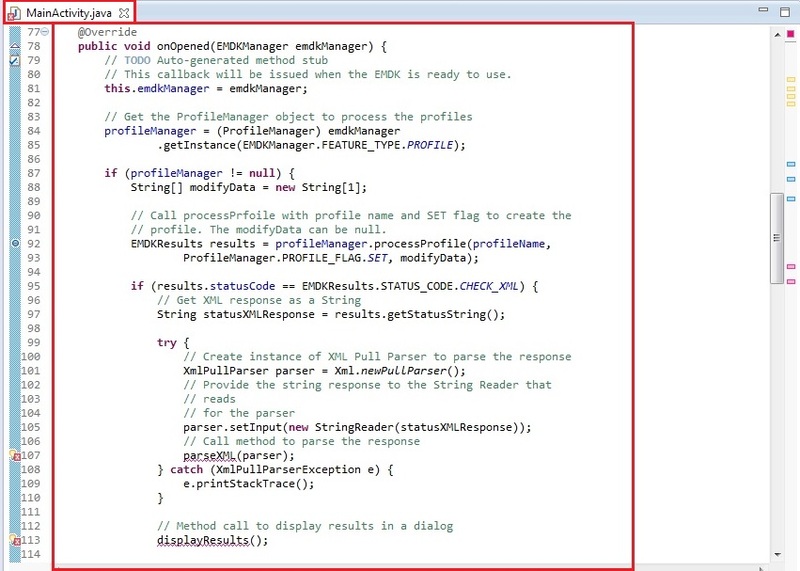 Provide "WirelessProfile" as the Profile Name for this tutorial. 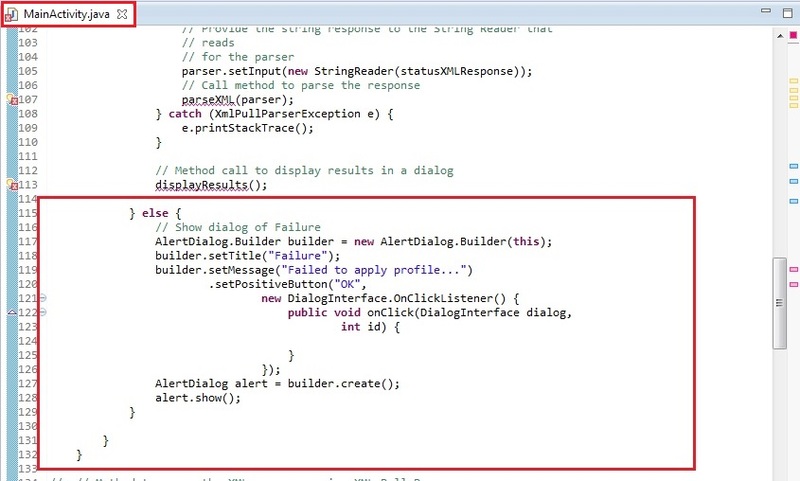 Now, you can see all these MX features on the left hand side of the Profile Editor window. 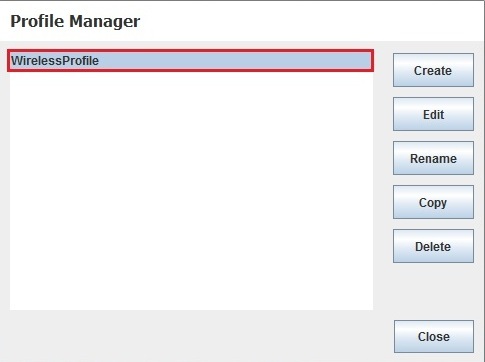 Select the "Wireless Manager" feature from the list and click "Right Arrow". Provide some name in the "Name" field (Ex. MyWirelessManager). 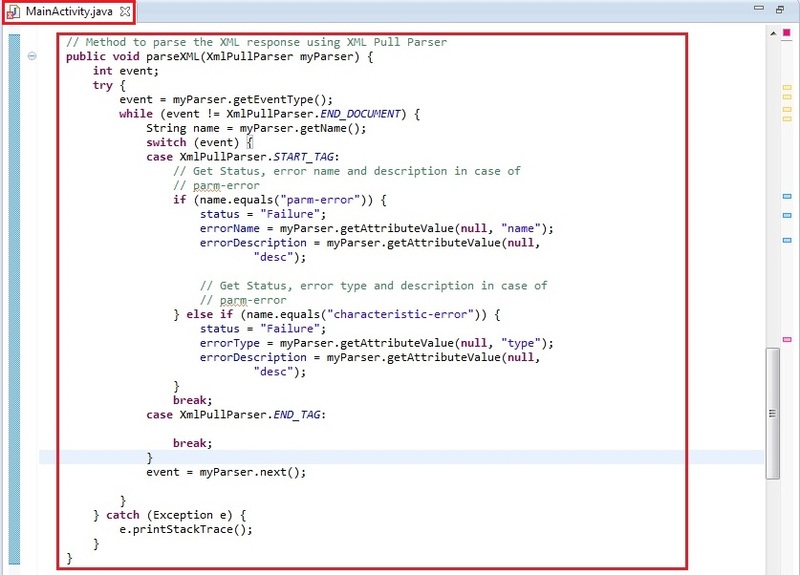 The "Name" field is used to identify each feature, which is required when editing features programmatically. You can also keep the "Name" field empty. 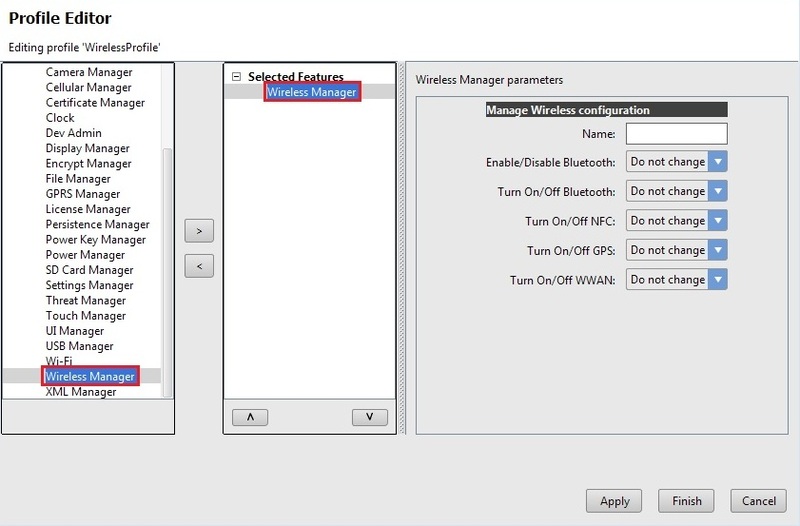 You can see some additional sub-features under "Wireless Manager" such as turning ON/OFF NFC, GPS, WWAN etc. So as discussed, you can configure Bluetooth of your Symbol Android device in Wireless Manager feature of Mx. 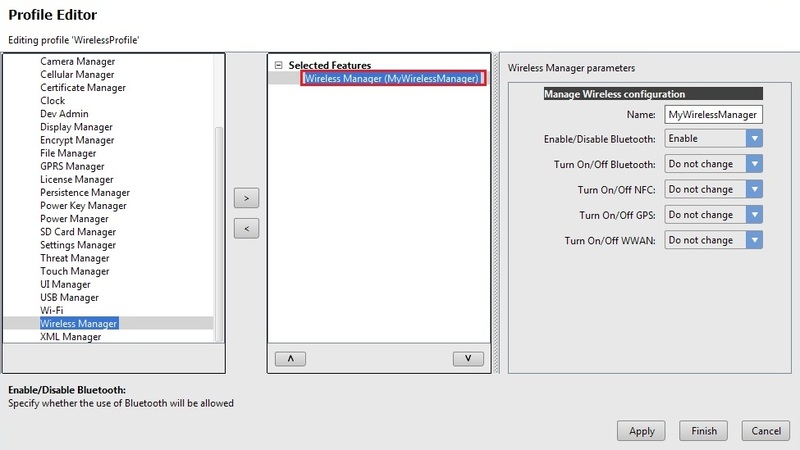 So we will enable Bluetooth of the device by configuring Wireless Manager through wizard. So click on Bluetooth drop-down in the wizard and select the option "Enable". That's it!!! 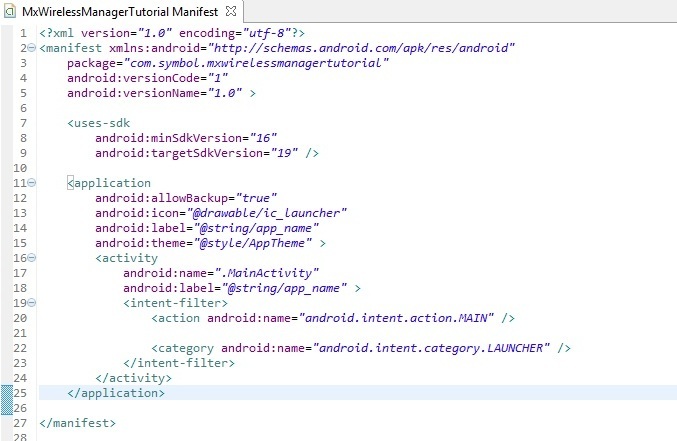 We are done with all the coding and configuration part that will let us enable Bluetooth of Symbol Android device. Now let us run the application. 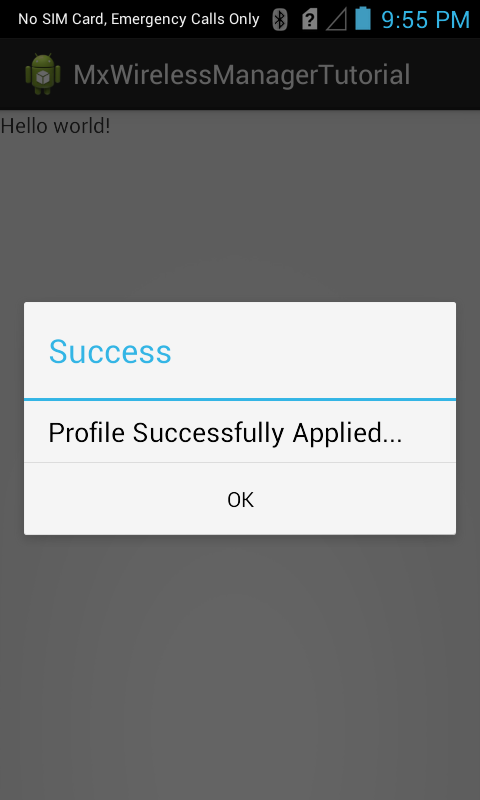 Before running the application, We will make sure that Bluetooth of our Android device is disabled. 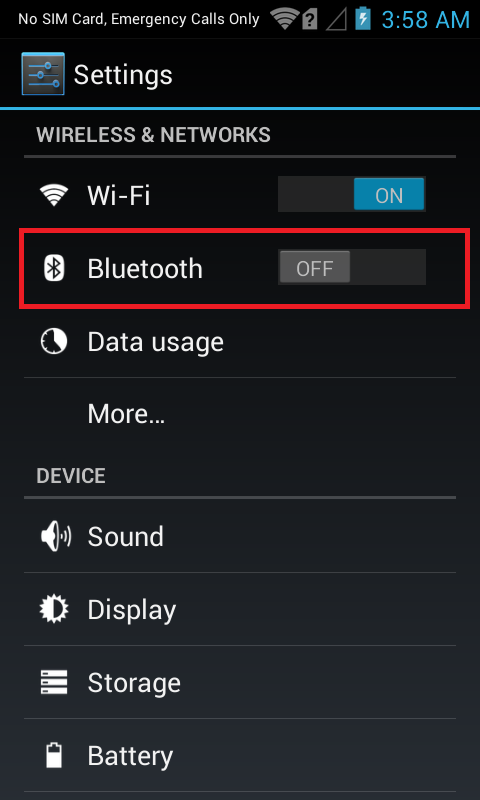 Go to device's Settings -> Bluetooth and make sure it is OFF. 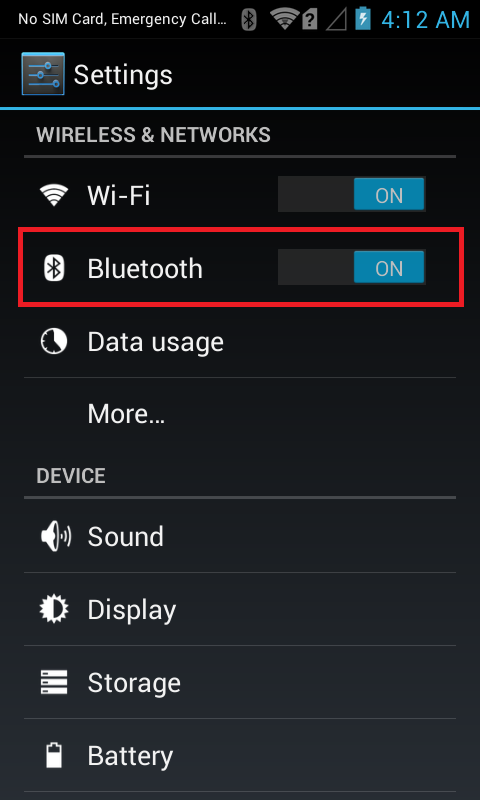 We will now see the status of Bluetooth in the settings. 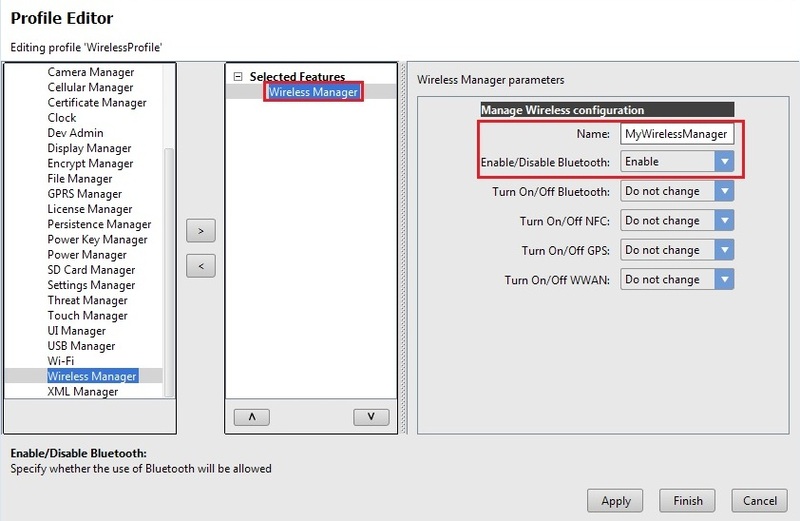 So go to device's Settings and you will now see that Bluetooth is enabled by Wireless Manager that we had set in the profile wizard. 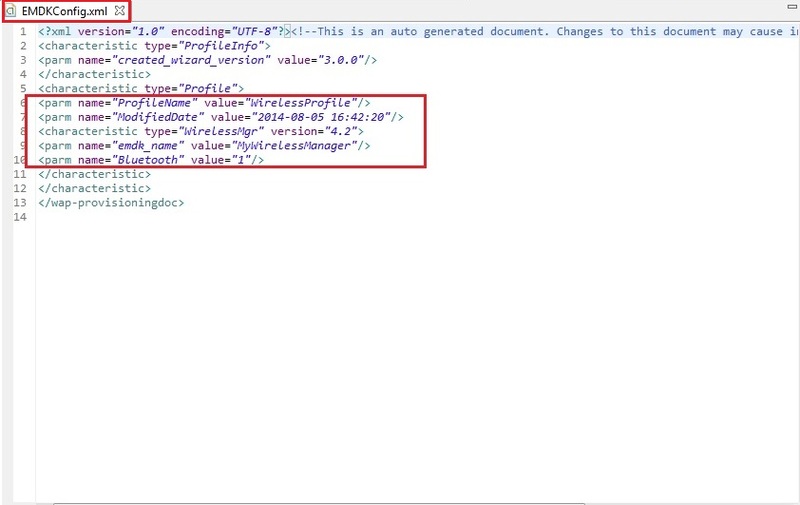 This is how Wireless Manager lets us enable Bluetooth of the Symbol Android device using Profile Wizard. Now that you have learned how to configure Bluetooth using Wireless Manager on your Symbol devices through applications, let us try to understand and implement some of the other new Mx features introduced in V 3.0. 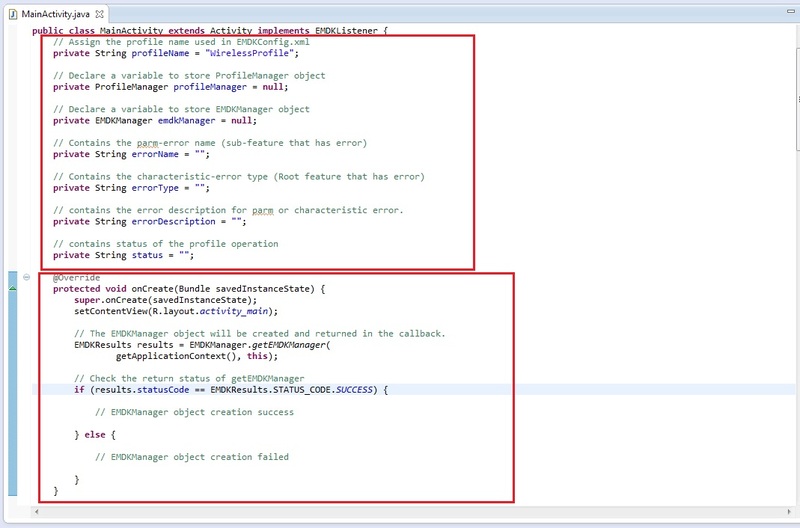 So in the next tutorial, we will concentrate on the "UI Manager" Mx feature and try to explore this feature by creating a tutorial.